Home > Textbooks > Film Language: A Semiotics of the Cinema . 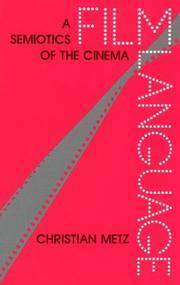 Film Language: A Semiotics of the Cinema . Chicago, IL University Of Chicago Press, 1991. 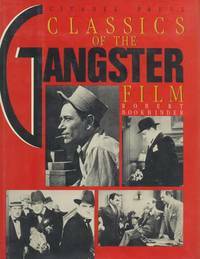 Paperback First Edition Thus (1991), Third Printing. Very Near Fine in Wraps: shows only the most minute indications of use: just a hint of lean to the spine; else flawless; the binding is square and secure; the text is clean. Free of any ownership names, dates, addresses, notations, inscriptions, stamps, plates, or labels. A handsome, nearly-new copy. Virtually 'As New', showing a single minor flaw and without any signs of wear. NOT a Remainder, Book-Club, or Ex-Library. 8vo. (8 x 5.25 x 0.75 inches). xvi, 268 pages. Translated by Michael Taylor. Language: English. Weight: 13.7 ounces. First Edition Thus (1991), Third Printing. 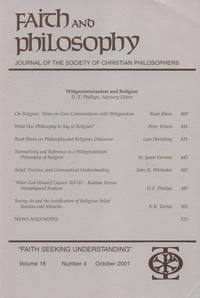 First published in 1974. University Press Paperback. Title: Film Language: A Semiotics of the Cinema . Edition: First Edition Thus (1991), Third Printing. 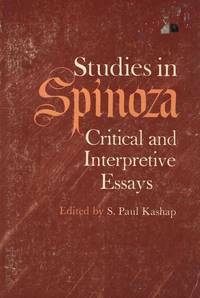 Studies in Spinoza: Critical and Interpretive Essays. 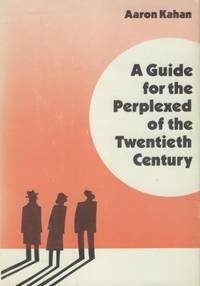 A Guide for the Perplexed of the Twentieth Century.